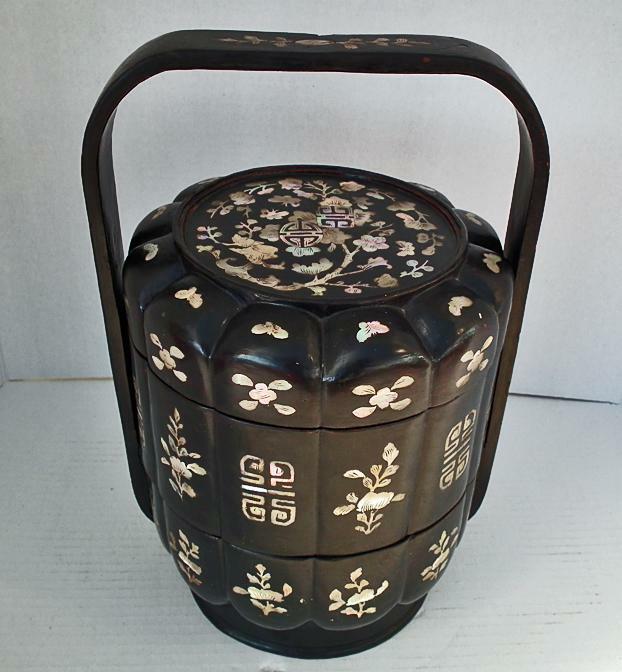 A superb quality antique, Chinese Qing Dynasty, (1644-1911), black lacquer large tiered box, wedding basket – Lunch Box, finely inlaid with mother of pearl. 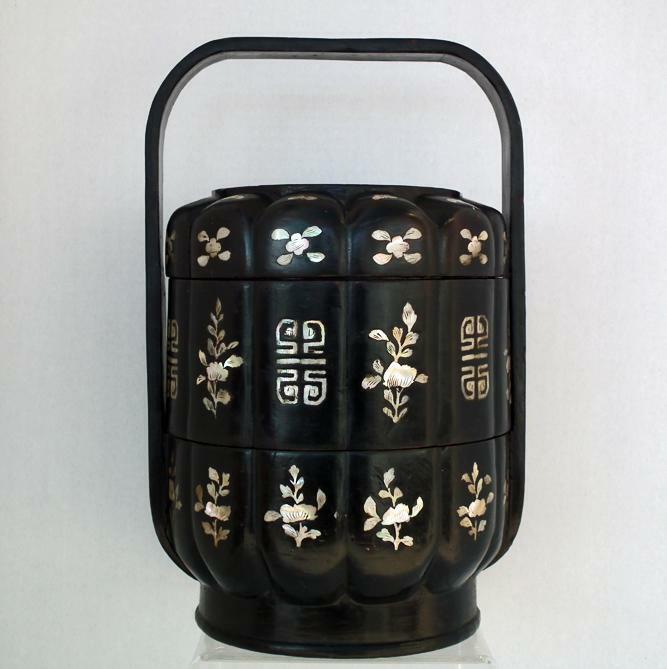 The wedding basket features a three tiered cylindrical box with the top tier compartmentalized by a tray insert. 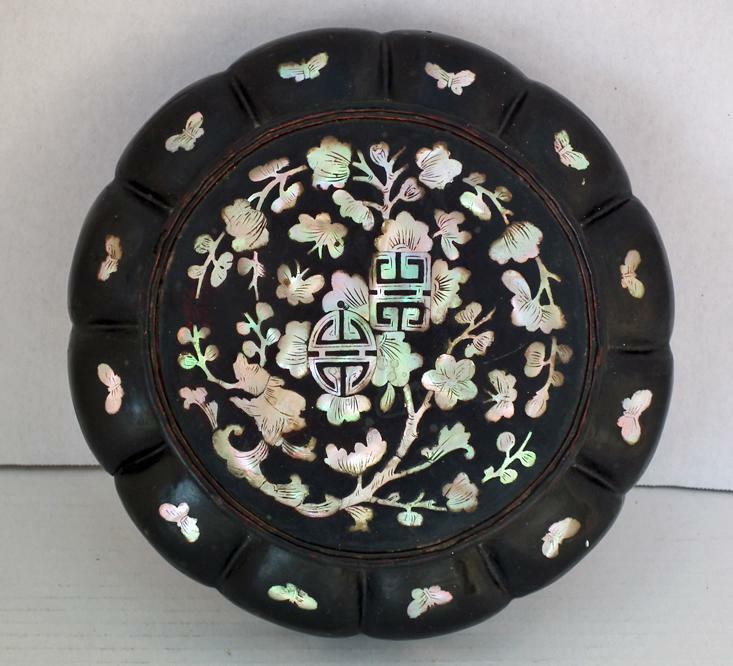 The cover is inlaid with mother of pearl with Chinese shou characters, flowers and vines enclosed by butterflies. 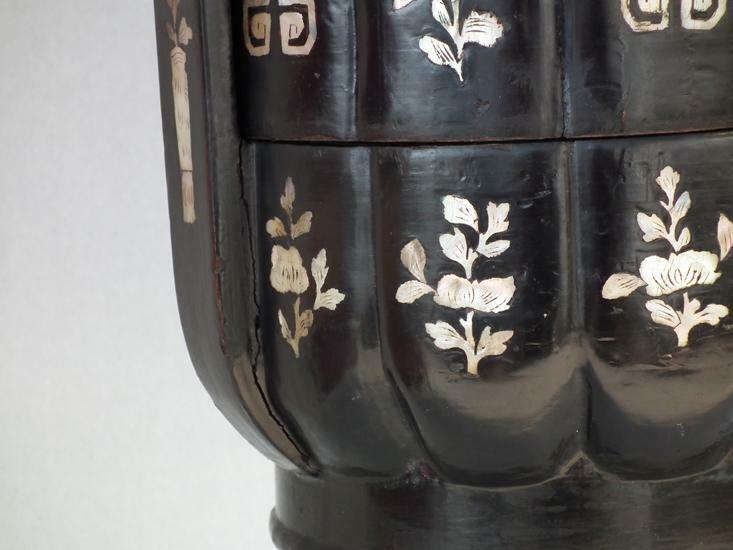 The scalloped sides inlaid with floral motif and shou characters. 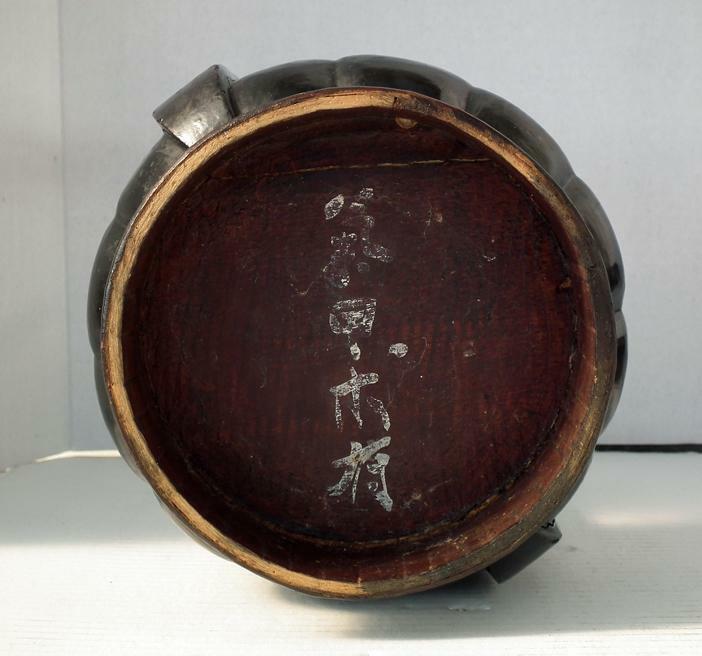 Signed on the base in Chinese characters with the maker's name. 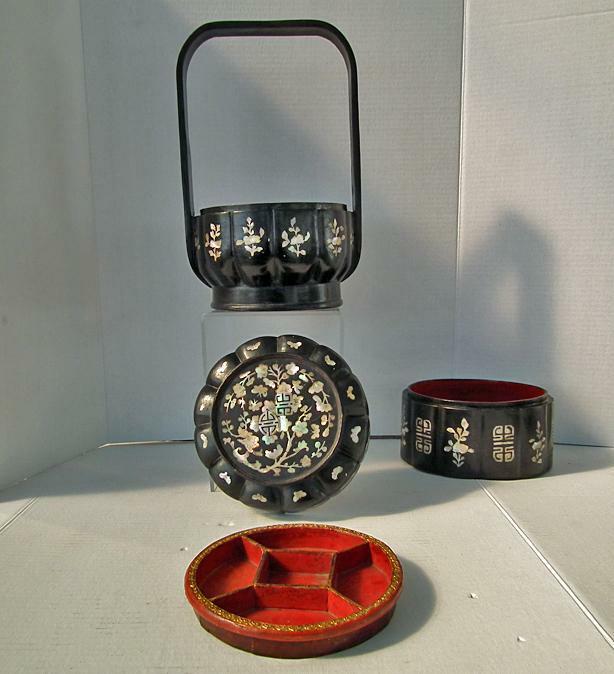 CONDITION: All mother of pearl inlaid intact. 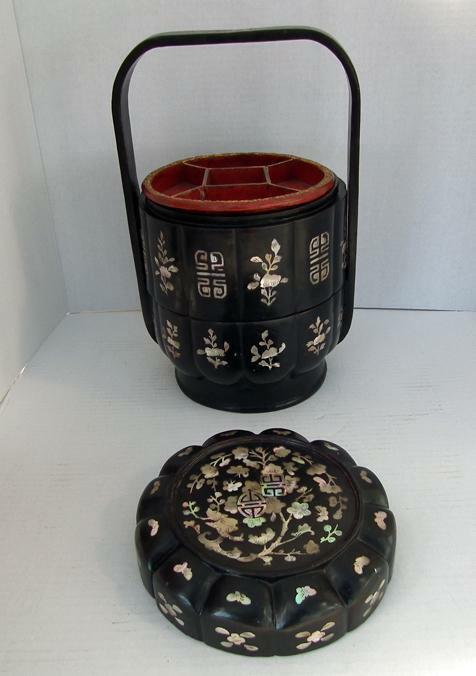 Signs of usage and wear, the lacquer with minor age cracks, as is common in old lacquer, but held very solid, no restorations, or repairs. 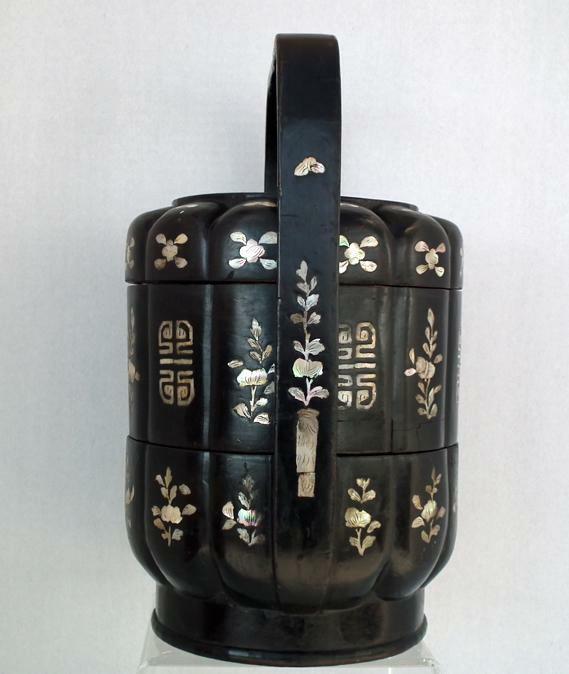 Height: 33 cm (12.99 inches).